Forest Industry Training (FITEC) is the training organisation for the forest industry. 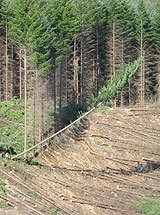 Best Practice Guidelines that support the OSH Approved Codes of Practice for Forest Operations. These guidelines provide a valuable teaching and learning resource to the forest industry. CLICK HERE to obtain a copy of the guidelines. CLICK HERE to view the Department of Labour (DOL) Approved Codes of Practice for forestry. New Zealand Institute of Forestry Inc Handbook 2005.